This was my first new car buying experience, and Alain Doucet made it very easy and pleasurable. 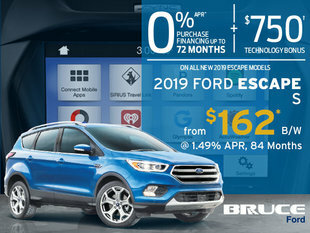 I love my new Escape and will be back to see Alain at Bruce Ford sales for my next one. Everybody should deal with Alain. Thanks Alain!